Ah, the RX-78-2 Gundam, the progenitor of the sprawling mass that is the Gundam franchise. Like it or not, the parade colour scheme of the main character’s mobile suit in virtually every single entry into the Gundam franchise traces back to it. While the original design is certainly not very fancy (especially by today’s standards), its lofty status in the hearts of fans has kept it popular through the decades. Of course, with popularly comes merchandise, and the original Gundam has certainly seen its share of it. After 30 years of gunpla, there are RX-78-2 kits in every grade and every size. Even if you don’t want the trouble of building it yourself, the original Gundam can be found in each and every gundam action figure line Bandai has worked on. “How do they do it? How are they able to keep selling the same design over and over again,” you may ask. 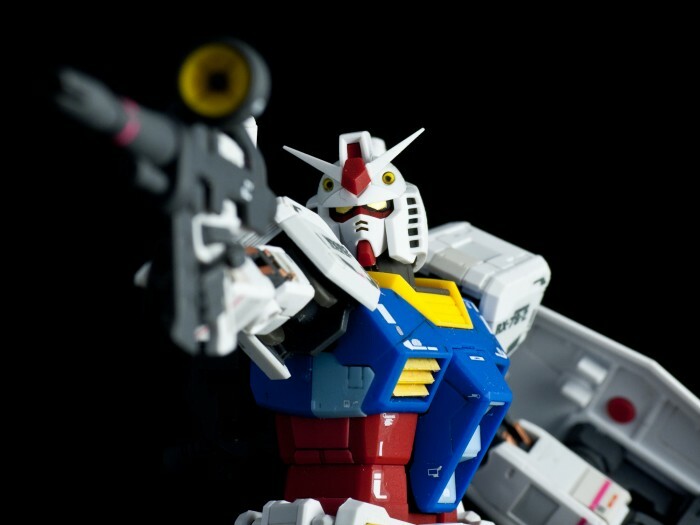 Asides from the fanaticism of the fans, I must credit Bandai with its continued dedication to innovate and improve upon their trusty workhorse, and the culmination of these efforts is the subject of this review – the Real Grade RX-78-2 Gundam. Armed with the tagline “Excitement Embodied”, this new grade makes a bold promise to gunpla fans – and boy does it deliver. Not only does it look great, but it is an absolute joy to build as well.